Airfares and ski lift passes have never been cheaper! We all need to admit, skiing or snowboarding is simply fun wherever and whenever but winter sports in Europe are experience unlike any other in the world. The mountain villages, history and traditions, cultural diversity from one valley to the next, plus of course the food and drink, mix wonderfully with the huge terrain, incredible lift systems and great snow. If you go for snowboarding once in Europe, definitely you will be back for more. The great advantage of this winter sport in Europe is the diversity and ease of access to a huge number of superb ski resorts in a relatively small area. Most of the great ski resorts of Europe are within three hours travel (train, bus or car) from the major international gateway airports of Geneva, Milan or Munich. There are fabulous train journeys that go direct to incredible ski resorts, some even have a gondola ski lift at the train platform. Nowhere else in the world has so much to offer. The number of ski resorts in Europe is massive, easily exceeding 1000. From small village lifts to enormous interlinked resorts that have to be seen (and skied) to be believed. Much of Europe’s best skiing is in The Alps, which span the Mediterranean coast of France through Switzerland, northern Italy, Austria, and southern Germany and into Slovenia. The mountains are giants so skiing in Europe offers endless runs on huge vertical, and the spectacular scenery can be admired from the slopes, a comfy lounge chair or from soaring cable cars. 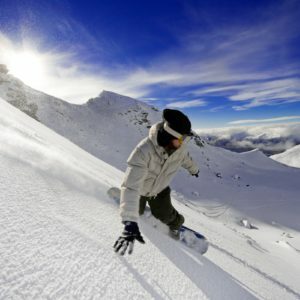 The ability to ski from village to village is common, and in numerous resorts you can even ski from country to country. The old-world villages are quaint and offer opportunities to stop for a food, wine, beer or an aperitif. Cheap snowboarding holidays aren’t a myth, despite what some people might think. Heading to the mountains each winter isn’t the cheapest holiday option, but there are plenty of reasonably priced snowboarding resorts in Europe – so you can get your shred fix without breaking the bank. 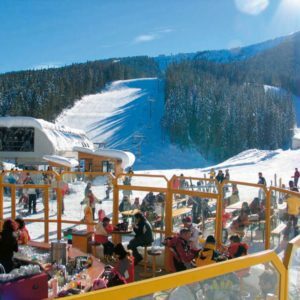 Click here to read more about the cheapest ski centers in Europe. Of the approximate 1000 resorts in Europe, more than a third are located in the Alps, which also contains some of the biggest shreddable expanses in the world (Espace Killy and the Portes du Soleil). The Portes du Soleil region for example, dwarves its North American equivalent – Whistler Blackcomb, with a whopping 650km of path down versus 160km. Many of the resorts in the Alps lie above 2000m in altitude, meaning that any snow that does fall will stay frozen and powdery for longer. 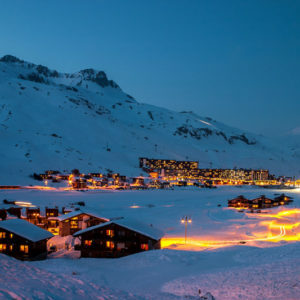 These high altitude resorts have the added bonus of increasing the amount of vertical that you can ride – the Sarenne run in Alpe du Huez, France is a whopping 19km in length from start to finish and extends over 2000m of vertical. Snowboard too fast (even if totally in control) through a designated slow-zone and these safety-enforcing bigots will verbally shoot you in the face, smack you on the bottom and threaten to take your pass. Thankfully, European resorts are way more relaxed on the safety front, and speed Nazis aren’t even close to existing in most of the places we’ve been. If you haven’t skied Europe yet, do it now. Airfares and ski lift passes have never been cheaper and you will be richer for the experience.